We're nearing the Future Party which will start on May 22! 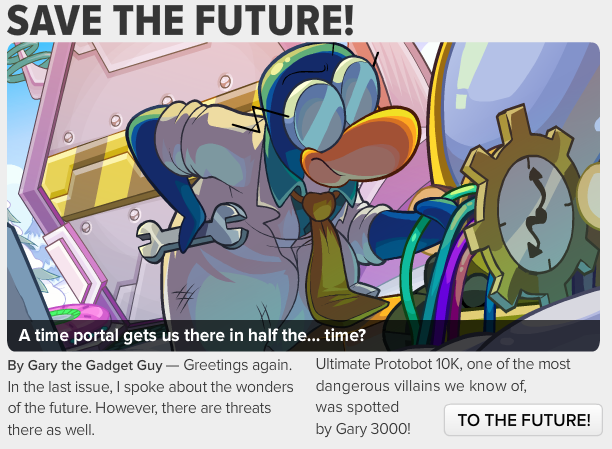 Although we're going to have a super fun time in the future, Gary lets us know about the dangers that wait for us ahead. Ultimate Protobot 10k seems very scary to me. He wants to sink the whole island! Also, I think Protobot has mini robots that help him. 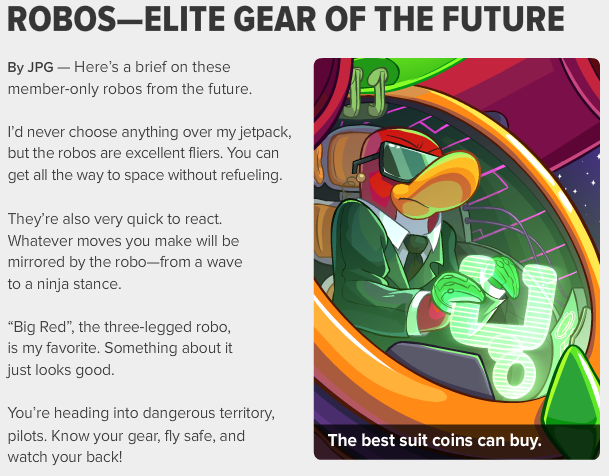 According to Jet Pack Guy the robots are really fast at flying and other stuff. Look at what he has to say. 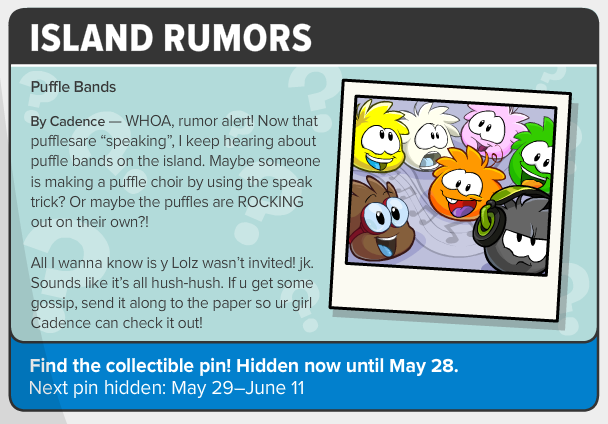 Finally, we're at the upcoming events section except this time it's called Island Rumors. I think Cadence is giving us hints that the Penguin Band will be here in June!